“How do we create meaning in contemporary Judaism?” and “Where is the solid ground for the future of American Jewish Identity?” are questions of faith intrinsic to our Adath Israel membership. 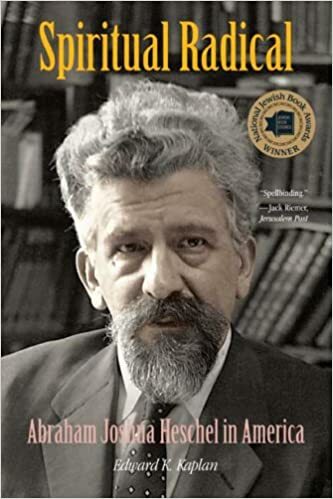 We will discuss these questions with the added insight provided by Edward Kaplan’s award winning biography, Spiritual Radical: Abraham Joshua Heschel in America. All are welcome – these sessions stand-alone. Reading the book in advance of the conversation is worthwhile, but not essential to participation. Join us on April 6 and May 4, 2019 at 4:00 PM. For more information, contact our discussion facilitator, Ed Goldberg, at [email protected].